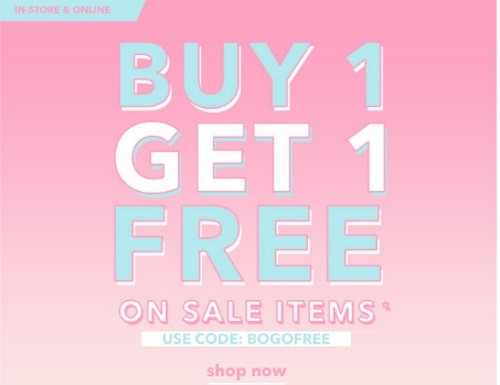 Forever 21 is offering a BOGO on their sale items! When you buy 1 you can get 1 Free! Enter the promo code BOGOFREE at checkout. Offer is valid in-store and online until July 28, 2016.